This Saturday marked my four year Japanniversary. And today marks the official beginning of my "Last Week In Japan". I've been doing a lot of reflecting on my time here, and I have come to realize just how much I have changed in the four years I have lived in this country. I'm not the same person I was when I came here. For starters very few people are the same person they were at 22. Your mid-20s change you a lot and going from the sheltered life of a full-time student to an adult with a real job and real bills and a real apartment to manage really shifts the focus in your life. But, deep down, I still feel that I am the same Kaley I have always been, just cleaned up around the edges and more sure of myself. College was a rough time for me in general, because of my anxiety I didn't really go out and meet people, I stayed inside my apartment watching anime and sleeping too much. I gained a lot of weight and was overall just a really unhappy person. Also didn't help that I was in a pretty emotionally draining relationship. 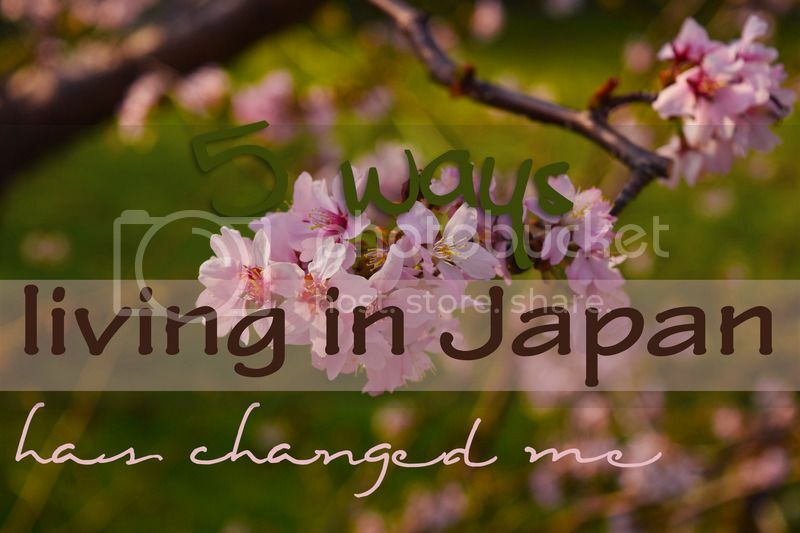 Japan was my chance to start over and remove all off the bad things in my life. So often people have told me that I am so brave for coming to Japan, but I really view it as running away from a life I felt that I had failed at. 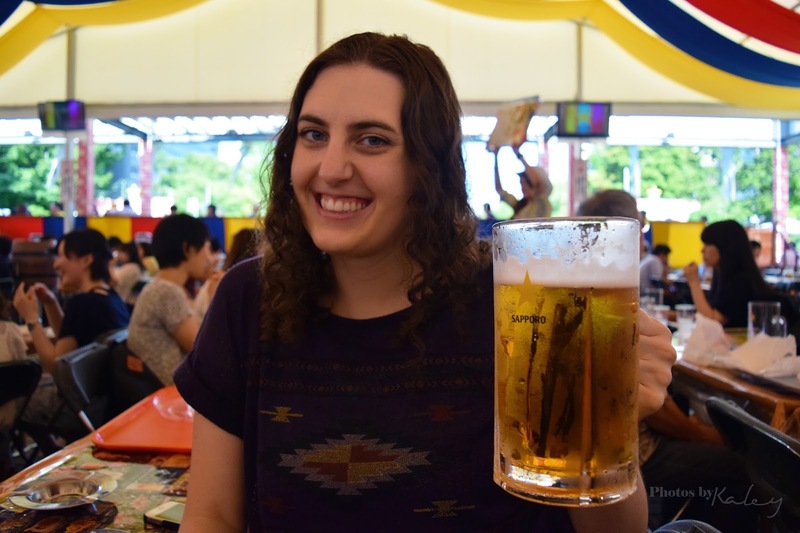 I wanted to try really hard in Japan to become that person I was before college, before the anxiety and the depression and losing myself in another person. And I think I did just that. 1. I am more forgiving. While this is still a part of my life that I feel like I need to work on, overall I think I am a more understanding and forgiving person. When living in a foreign country you're constantly surrounded by people who don't think like you, don't act like you, don't believe in what you do, and don't speak like you do. Because of this you really have to learn to work with people, and not against them. Any sort of conversation I have with a Japanese person is a lot of compromise between the two of us trying to mix our languages and cultures together in order to understand one another. And it's beautiful. 2. Equal Rights matter more to me. I've always been pro-equal rights. I mean, what good person isn't? But living in Japan has made me understand just how frustrating it can be to be judged for things I have no control over. While I did choose to come to a country that is almost entirely one race, I didn't expect just how often I would be treated separately because I am not "one of them". As a straight, white, female from a nice American suburb these issues have often gone over my head because I just can't understand them, but now that I have (in a very minor way) experienced this frustration I can see why people are as passionate as they are towards receiving equal treatment for things they can't control. 3. I care way less about "things". When you move across the world you have to be picky with what matters. When you then move across a country you have to be picky about what matters, And when you again move to a different city you have to be picky about what matters. Not to mention my shoebox Japanese apartment doesn't really allow for a lot of "stuff". Looking around my apartment now on the brink of another global move, I realize just how much of the crap that fills me apartment doesn't mean to me and I just want it all gone. Bye! 4. I appreciate simple foods. I've posted before about my food issues prior to living in Japan, but aside from widening the variety of foods that I was able to stomach Japan has taught me that loads of salt and artificial flavorings don't really make things more delicious. When I first moved here the food tasted bland, but in just a few short months I found that I can no longer handle bags of American Cheetos or bags of Skittles without feeling sick. And my trips back to America have often left me praying to the porcelain god when I gorge myself too much on these heavily processed foods! 5. I realized I can do anything. Honestly, moving to Japan wasn't that difficult. Compared to everything else I have been through since getting on that plane four years back, finding the job and packing to leave was really easy. It was interacting with people in a language I barely understood, surviving an assault, moving between three different cities (once across country! ), and building a strong foundation of friends in a country where I knew zero people that were hard. Thinking about moving to America and all the things I have to do there like getting a cell phone and finding an apartment and even getting a job seem so easy now because, well, everyone speaks my native language! Nothing can stop me because I've done it all before, but in Japanese!